HarryOnline - The Internet. Simple. A new version of the Gmail to Evernote script has been released. It is now embedded in a spreadsheet, so you have all the relevant information together and can easily view it. Moreover, you have your own copy of the script now: much more secure, but it is not to update automatically anymore. Therefore, current users are advised to install the latest version and use this instead of the old version. The old version may stop working in the course of the next week (end of April 2019). This entry was posted in Evernote, Google Mail, Scripts and tagged gm2en on 21 April 2019 by Harry. Garmin has a range of sports watches, on which you can install Apps, both provided by Garmin and by the community. You can find the Apps developed by HarryOnline in the Connect IQ store. From the feedback I received, I noticed that many people find it hard to change the settings for an App. This can be done on the watch itself, if it provides such an option via the Menu, or using a connected computer or smartphone. On a computer you use Garmin Express, on a smartphone there is the Connect Mobile App. For both I will describe how the settings can be changed. This entry was posted in ConnectIQ and tagged connectiq, Garmin on 23 April 2016 by Harry. Sudoku puzzles started getting popular around 10 years ago, and many web sites offering to play Sudoku online have sprung up. Many of these sites are outdated: they can only be played on a desktop computer, while roughly half the traffic on the Internet nowadays comes from mobile devices (tablets and smartphones). 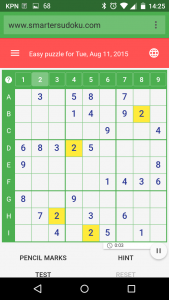 So what does it take to make a Sudoku puzzle play well on mobile devices? SmarterSudoku is a new Sudoku site, that shows how it can be done, as explained here. This entry was posted in Sudoku and tagged mobile, sudoku on 12 August 2015 by Harry. 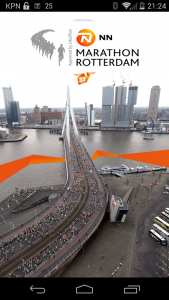 Today the Rotterdam Marathon took place. Also for this marathon, a smartphone app had been developed. I think most users for such apps are the supporters, who want to track their favourite runners, along the side of the route or from home. There is some innovation, but clearly not much thought was given to how this app would be used, and how this could be made more easy. Why is this format not good, and how can it be improved? This entry was posted in Apps on 12 April 2015 by Harry. The Gmail to Evernote script works by sending a message to your Evernote email address. It does so using Google Apps Script. Until recently, a message sent by Google Apps Script would not appear in your Sent mail; in many cases, this would be considered an omission, and it has been fixed now: the messages will show in your Sent mail. For messages sent to Evernote, keeping a copy in your Sent mail is less relevant; several people, including myself, considered it a benefit that these message were not cluttering your Sent mail. I will therefore look into the options for not getting receiving a copy of the mail to Evernote in your Sent mail, perhaps as an option that you can switch on or off. No immediate solutions have come to my mind yet, but if I get some, it will be implemented in the next version. Meanwhile, any bright ideas are welcome! Update: the bright idea is to create a filter in Gmail, specify your Evernote address in the To field of the search criteria, and select Delete it as action (submitted by Nathan Stretch, comment below). This entry was posted in Evernote, Google Mail and tagged gm2en, gmail on 20 June 2013 by Harry. You can create events using the Calendar Class in Google Apps Script. However, only for regular (not all day events) you can set both the start and the end time. For all day events, you can only set one date, so they will always be one day only. Then how can you create all day events? Create a regular event and set the start and end time to midnight; remember to specify midnight of the day after the end day. The drawback is the event fills the whole space for a day in your calendar overview, rather then just a line at the top as with all day events. Create a all day event series, so you have a sequence of one-day all day events; this looks already a bit nicer, but in the calendar view, from a single event yio can not see how long it last. Create an event from a description, this creates real multi-day all day events. This entry was posted in Scripts and tagged calendar, google apps script on 20 April 2013 by Harry. Version 3 of the Gmail to Evernote script has been released. Existing users will have to authenticate and give access again, to keep the script running. You can do so easily by going to gm2en.com. This is the new web interface, that is one of the major changes in the new version. All options can now be configured from this form. more flexibility in selecting labels: you can now specify a different label than ‘Evernote’, to select the messages to be forwarded. 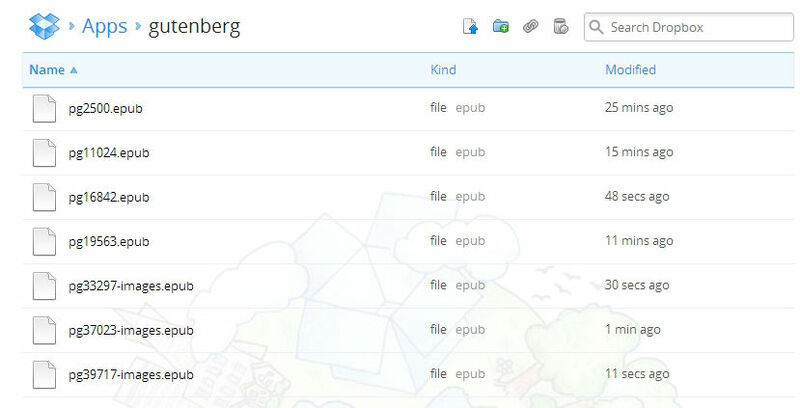 Also, you can select a tag label, and only this label and its sublabels will be included as tags to be sent with the message to Evernote, other labels will be ignored. Finally, you can specify a label to be assigned if a message is sent to Evernote. better catching of errors. it may happen, that a server is not reachable. Before, you would receive a notification of script failures, but these are caught now and you will not receive a notification anymore, After all, you can not do anything about it, so it does not make sense to send these messages. Other problems, such as the requirement for re-authentication, will still be sent. .All options are documented in the original Gmail to Evernote post, which has been updated. This entry was posted in Evernote and tagged gm2en, gmail, google apps script on 14 April 2013 by Harry. The server, from which this file is read, has been down for a number of hours yesterday, so you got these error messages. Why is the script reading this file, it is only supposed to forward messages from your Gmail account to Evernote? It has to do with version information, to be able to inform you about new versions. This entry was posted in Evernote and tagged gm2en, google apps script, mail, versions on 9 April 2013 by Harry. Despite the documentation, it is quite well possible to use style sheets in a Google Apps Script UiApp. The documentation of Google Apps Script is quite clear: “… there is no way to use custom style sheets in UiApp.”. This is mentioned in relation to the stylename methods, such as setStyleName(). However, most elements in the UiApp have the setStyleAttributes() method. This accepts an object with style attributes, e.g. This is how you can assign style information to an element. The essence of a style sheet is to separate the formatting from the content and the program logic. Separate style sheets make the script more readable and enable you to change the appearance and layout of all pages in a UiApp, just by editing one single file. In Google Apps Script, you can realize this by setting the style attributes using named objects, and define these objects in a separate file. The following example shows how this works. 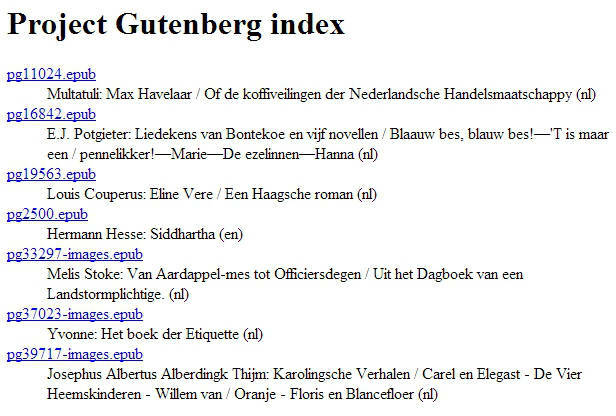 This entry was posted in Scripts and tagged code, css, design, google apps script on 8 February 2013 by Harry. To make it easier to work with data in Google Apps Script, both from spreadsheets and from JDBC databases, I have developed the ObjDB library. This is a set of functions, with which you can open a spreadsheet or database, and do all the basic operations: select, update, insert, delete. Functions are the same for spreadsheets and for JDBC databases, except the different parameters for the open() function, so if you start with data in a spreadsheet, and later move the data to a database, there is hardly any code to change. To show how the library works, I prepared a demo spreadsheet with script. Open the link, it should create a new copy of the spreadsheet, if not, copy it yourself. Then go to Tools – Script editor…, and run any of the functions to see it in action. Note that the script in this spreadsheet includes the objDB library, see under Resources – Manage Libraries…. For more documentation, reference and source code, go to http://googlescripts.harryonline.net/objdb. This entry was posted in Scripts and tagged database, google apps script, mysql, spreadsheet on 24 January 2013 by Harry.